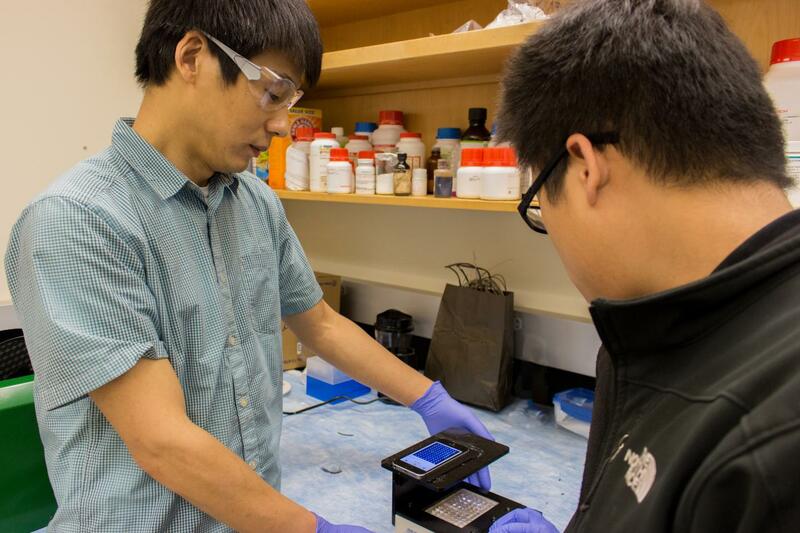 PULLMAN, Wash. – Washington State University researchers have developed a low-cost, portable laboratory on a phone that works nearly as well as clinical laboratories to detect common viral and bacterial infections. The work could lead to faster and lower-cost lab results for fast-moving viral and bacterial epidemics, especially in rural or lower-resource regions where laboratory equipment and medical personnel are sometimes not readily available. Led by Lei Li, assistant professor in the School of Mechanical and Materials Engineering, they have published their work in the journal, Clinica Chimica Acta. Collaboration with Ping Wang, associate professor of Pathology and Laboratory Medicine at the University of Pennsylvania's Perelman School of Medicine, enabled the design and implementation of the key clinical validation study. In rural or underserved areas, doctors sometimes must rely on a patient's symptoms or use their own judgement in looking at test sample color results to determine whether a patient has an infection. As expected, this process is often inaccurate. If they send results off to a lab in a distant city, the doctors sometimes must wait for days — by which time the infection may have become widespread. Most existing mobile health diagnostic devices, meanwhile, can only analyze one sample at a time. The WSU researchers found that their portable smartphone reader worked nearly as well as standard lab testing in detecting 12 common viral and bacterial infectious diseases, such as mumps, measles, herpes, and Lyme Disease. The researchers tested the device, which is about the size of a hand, with 771 patient samples at Hospital of University of Pennsylvania and found that it provided false positives only about one percent of the time (was 97. to 99.9 percent accurate). "This smartphone reader has the potential to improve access and speed up healthcare delivery," said Li. "If we find out about infections, we can treat them more quickly, which makes a difference especially in low-resource, remote areas." Buying the components themselves, the research team was able to build the device for about $50, but the manufacturing cost would probably be lower than that, he said. They have filed a patent and hope to move forward with clinical trials that could lead to commercialization. The work was supported by a WSU fund to support entrepreneurial endeavors.